Guys, I know you’ve been waiting some time for this (I talk about pancakes all the time on Instagram). 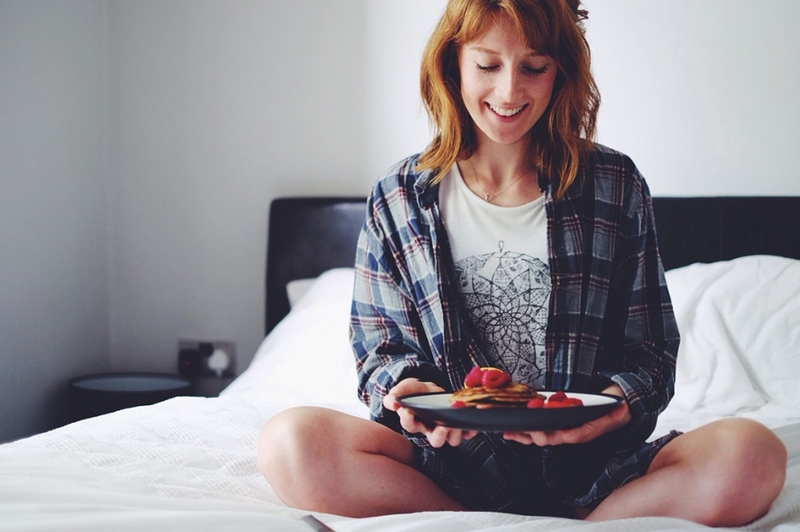 But I’m so pleased to say now that I can finally provide you with my never-fail, go-to recipe for PLANT-BASED PANCAKES. 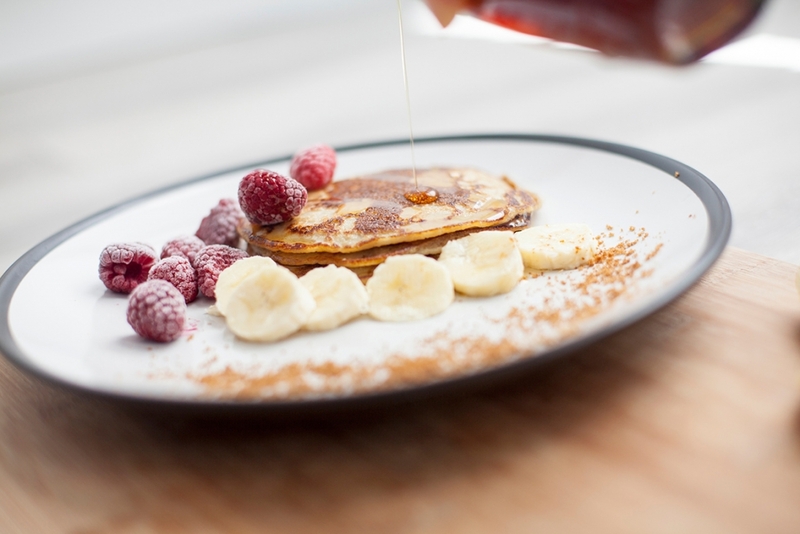 These pancakes contain NO processed or artificial ingredients (unless you want them to). And because of the banana, they hold together beautifully, require hardly any prep and very little babysitting as they cook in the pan. They’re low-fat, plant-based, sweet from the vanilla and full of energy from the oats and banana. One plate of these babies will leave you feeling energised and satisfied, not sluggish or bloated. 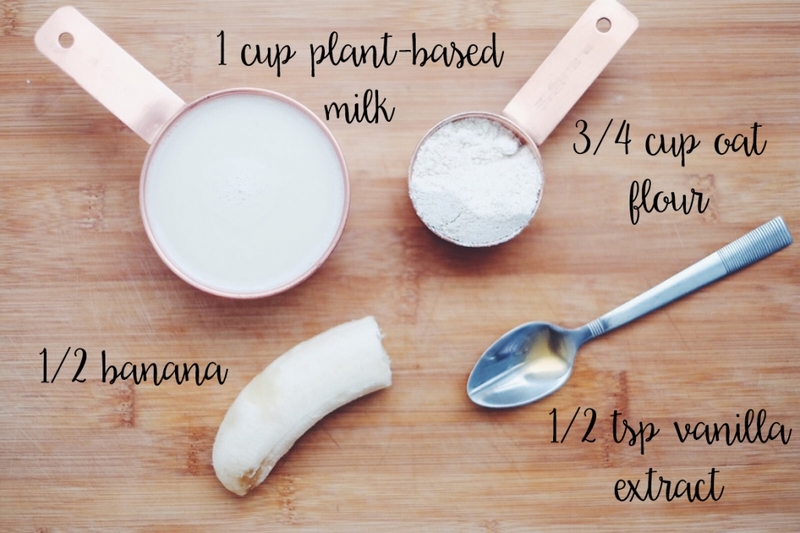 Get ready guys – its my easy-peasy plant-based pancakes. NOTE: When I talk about cup measurements, I mean American cups (I recently bought a set and I love them). If you don’t have those, however, you can relate the cups to mug measurements – the amount might be slightly different, but the proportions should be the same so shouldn’t affect the recipe in any significant way. I haven’t tried this though, so if you do, be sure to leave a comment with your findings! If making your own oat flour from scratch, mill the oats first in your blender till you have a fine flour. Add the milk, banana and vanilla extract and blend together. 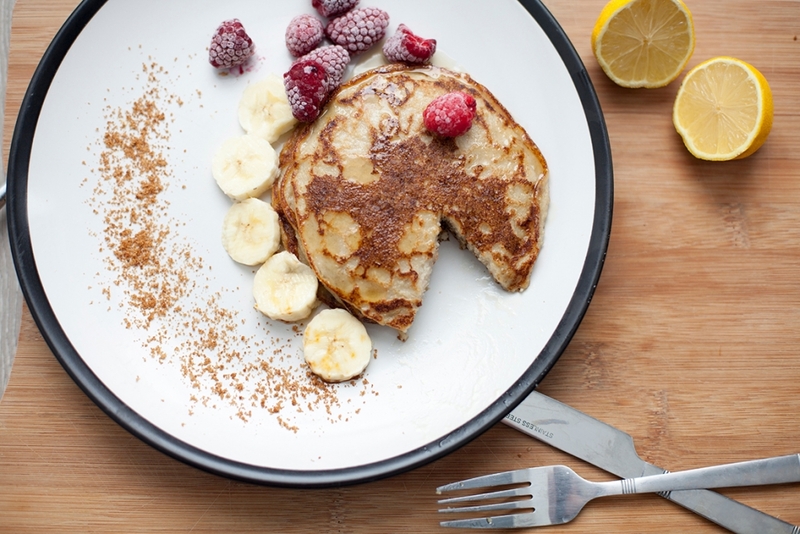 If you like your pancakes a little thinner, you can add an extra splash of milk if you wish. Heat a frying pan over medium heat. When it’s nice and hot, spoon 1/4 cup of batter into the pan. Wait till it’s almost set, then flip over onto other side. Cook till golden brown on both sides. 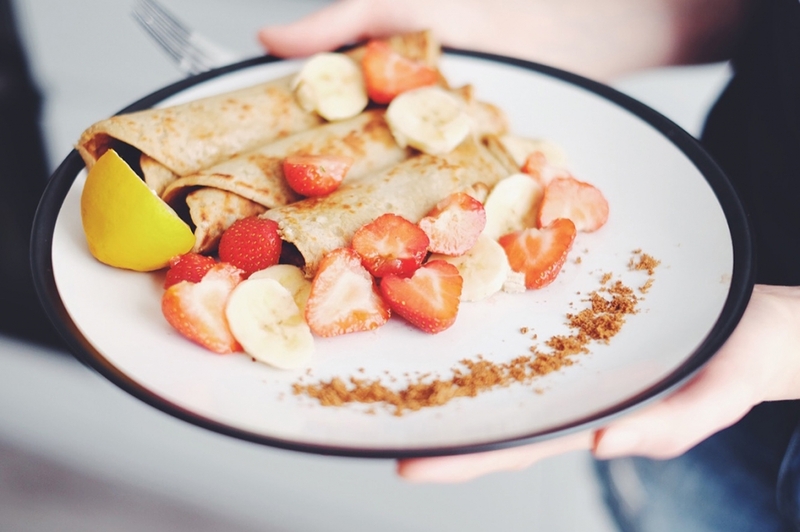 NOTE #2: Although there is no oil within this recipe, we tend to use about a teaspoon of rapeseed oil for the first pancake, just to get the pan going. After that, no oil is needed. If you have a good non-stick pan, I’m pretty sure you could omit the oil altogether as the banana helps to keep them moist. If you try it, be sure to let me know how it went! 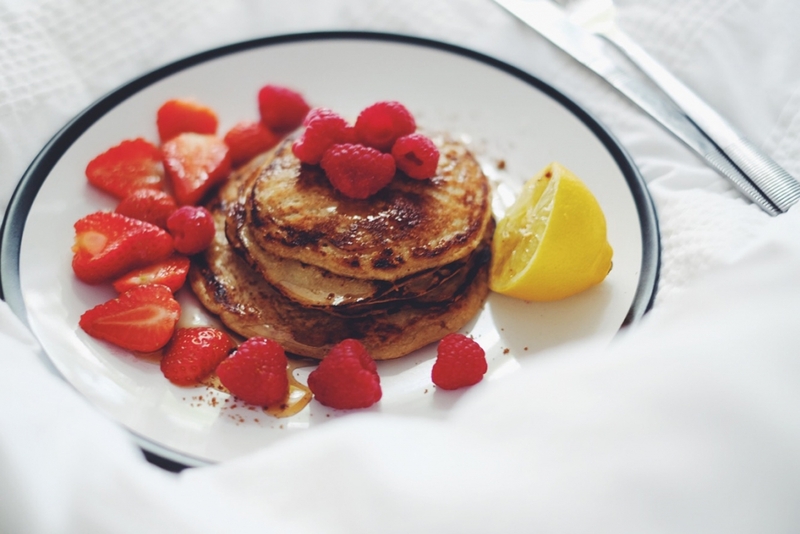 Keep pancakes warm on a plate in the oven on a low heat whilst you make them all. When done, top with berries, lemon juice, maple syrup, coconut sugar or whatever other toppings you fancy! Lastly (and most importantly), dig in and ENJOY. If you enjoyed this recipe, I would be highly grateful if you would consider giving it a pin! Subscribe to my newsletter to be updated with new posts, recommendations and things that I'm loving! © 2019 Everything's Peachy. All rights reserved.